Many thanks for looking to support The Motoring Podcast and all of our activities. The funds raised will go towards our expenses in keeping The Motoring Podcast running - the money for hosting, kit and insurance all have to come from somewhere - so thanks in advance for your contribution! We'll be adding new ways of supporting our work over the following weeks and months. 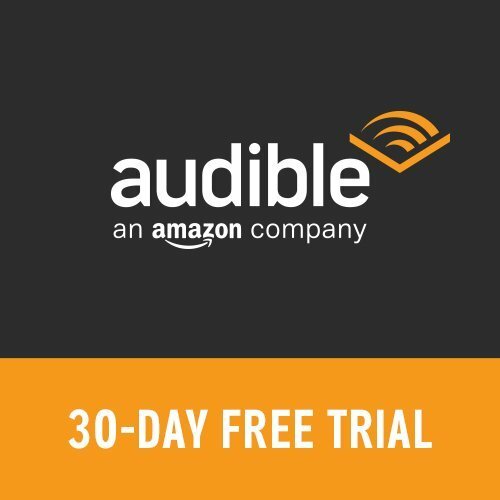 Audible is the Audiobook service from Amazon. We're offering you a 30-day free trial of their '1 Book Monthly' Membership. During the trial, you'll receive one free monthly credit to be applied to any of the thousands of titles in their store and will receive all the benefits of being a member within those 30 days. To note, you may cancel at any time during the trial period and, if you do, the Audiobook remains yours to keep. When the trial period ends, memberships will automatically renew at Audible's full rate of £7.99/month. Sadly, this offer is only available to new subscribers who haven't taken trial in the past 12 months.